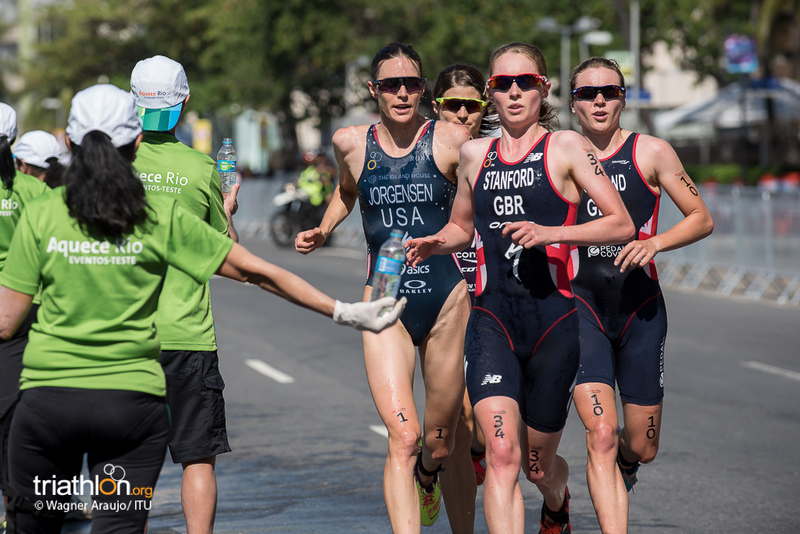 But what makes the women’s field in the triathlon event at the Rio 2016 Olympic Games so intriguing is that it wouldn’t be a complete shock if Jorgensen wasn’t standing on top of that podium come the afternoon of August 20. Despite the fact that the Olympic triathlon has always produced surprises, this year in Rio the list of contenders runs extremely deep. The women’s start list also holds four Olympic medallists, including all three from that epic race in London four years ago, Nicola Spirig (SUI), Lisa Norden (SWE) and Erin Densham (AUS). Beijing bronze medallist Emma Moffatt (AUS) is the fourth. Add in five ITU World Champions, Jorgensen, Moffatt and Great Britain’s Helen Jenkins (who all have two ITU World Championships), Non Stanford (GBR) and Lisa Norden (SWE). Then there is Andrea Hewitt (NZL), who has come close five times, with five overall top three ITU World Championship world ranking finishes. For Jorgensen, it’s a chance to solidify her record as one of the best modern triathletes. 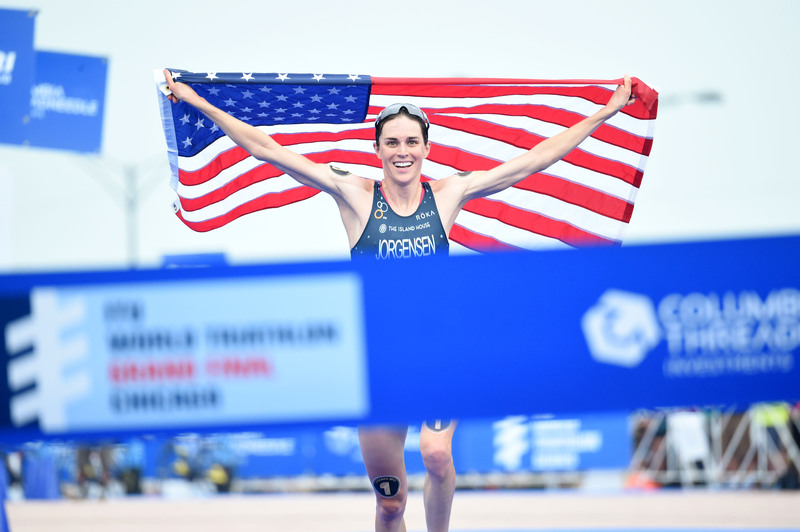 Picked up in USA Triathlon’s collegiate recruitment program, Jorgensen started on the ITU circuit in 2010 and in the 2011 London Olympics test event, pulled out the fastest run split of the day. A flat tire ruined any chance to follow up that result in the Olympic race, but soon Jorgensen was flying on the World Triathlon Series circuit. Her run speed was her killer trait, but it wasn’t always enough to win when she started at the back of the pack. Slowly though, that form started to change and in 2013 in Stockholm, she won after leading the race from the start. After two races that didn’t go to plan, where she started to question her ability to compete, Jorgensen’s incredible 13-race winning streak started. Throughout she kept throwing out ridiculous run splits, the fastest since the era of Beijing medallists Emma Snowsill and Vanessa Fernandes, and thrilled crowds as she ran through the field. The London 2012 Olympic champion Nicola Spirig might have broken her hand in the opening race of the year, but just a few weekends ago she finished second in a men’s Olympic distance triathlon race. Spirig’s journey since that London gold medal has been unique, she’s given birth to her first child (with fellow Olympic triathlete husband Reto Hug), and then returned to racing. She is chasing a piece of history in Rio - to become the first athlete to win two Olympic gold medals. Spirig wouldn’t be the first mother to win gold though, fellow Swiss triathlete Brigitte McMahon also had a three-year-old son when she won gold in Sydney. However, if Spirig could triumph she would be only the third woman in Olympic history to defend a Gold medal after becoming a mother. Then there is Kirsten Sweetland who is finally making her long-awaited Olympic debut. 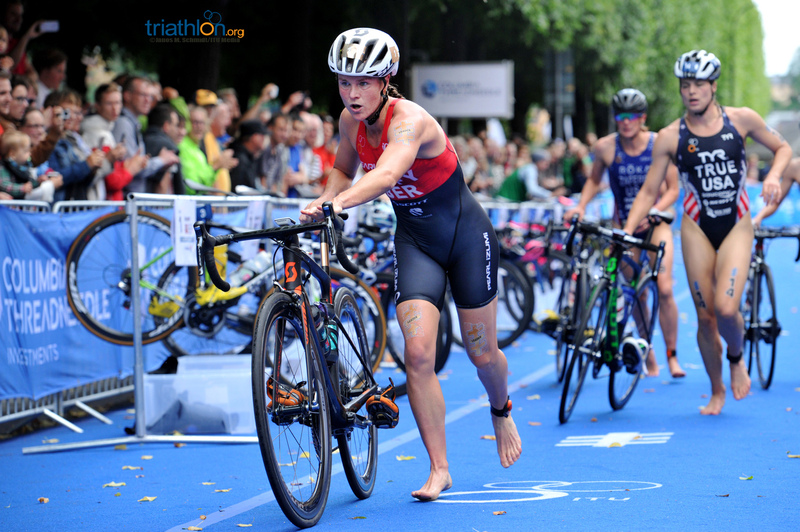 Sweetland won an ITU junior world championship in 2006, but since then her career has been littered with injury, including nine fractures, two torn plantar fascia, two concussions, a parasite, and a chronic bacterial infection. That last issue came just after her best season in years in 2014, which included a Commonwealth Games silver medal, but Sweetland will be on the start line at Copacabana. Finally, while Andrea Hewitt is one of the most consistent performers on the ITU circuit, her five ITU World Championship medals are proof, she’s also had one of the toughest possible experiences leading into Rio. Hewitt had to say goodbye to her fiancé and coach, fellow triathlete Laurent Vidal, who tragically passed away in November 2015, no one would begrudge her a good result in Rio - and she is a serious chance to claim New Zealand’s fourth Olympic medal in the sport. Strong in all three disciplines, Hewitt is one of the woman that could get away on the bike & push far enough ahead to maintain her speed all the way to the finish line. She’s also wearing start number 38, which is one of the lucky start numbers that has proven to have good medal potential luck.